1. God, be Lord of my life today. Have total and complete control of me and my life. Take my heart for Your own. 2. I bow to You, Lord Jesus. I acknowledge you as my Lord and King. 3. Heavenly Father, keep me from sinning against You today. 4. Jesus, let Your government increase in my life today. 5. Help me to abide in Jesus. 6. Make me a woman/man of Your Word and of prayer. 7. Set a watch on my mouth. Let my tongue cleave to the roof of my mouth if I’m even tempted to say anything that’s not from You. 8. Make me like You. Conform me to the image of Christ. More than anything else, give me godly character. 10. Father, use my life to glorify Yourself. Please have all the glory in my life. One way to answer this question is to look at what the early church prayed for. Here is a list gathered from the New Testament. It can guide you in how you pray. I suggest that periodically you pray through this list just to test whether your prayers are leaving out anything the New Testament included. We don’t have to pray all of these each time we pray. But over time it would be good if our prayers had the breadth and depth of the New Testament prayers. They called on God to exalt his name in the world. They called on God for the fullness of the Holy Spirit. They called on God to vindicate his people in their cause. They called on God to save unbelievers. They called on God for signs and wonders. They called on God for the healing of wounded comrades. They called on God for the healing of unbelievers. They called on God for strategic wisdom. They called on God to establish leadership in the outposts. They called on God to send out reinforcements. They called on God for the success of other missionaries. They called on God for unity and harmony in the ranks. They called on God to know him better. They called on God for a deeper sense of assured hope. They called on God for a deeper sense of his power within them. They called on God that their faith not be destroyed. They called on God for greater faith. They called on God that he would complete their resolves. They called on God that they would do good works. They called on God for forgiveness for their sins. They called on God for protection from the evil one. 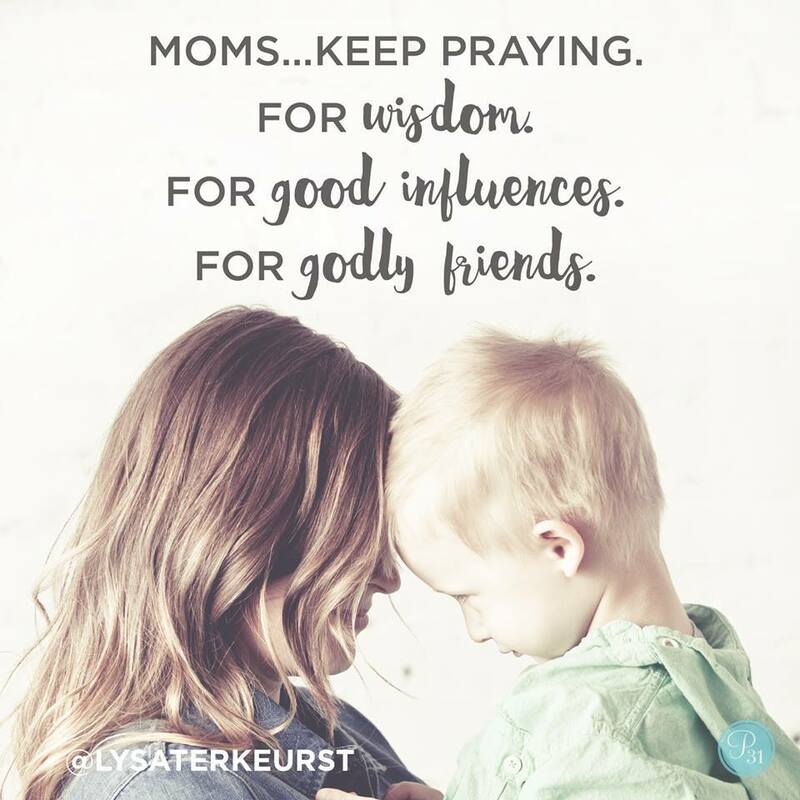 Choose one verse to pray over your child’s life for the year. Choose one leadership trait to focus on and equip your child to possess by year’s end. Create a contract with privileges and responsibilities. I listened to Pam and Bill on Focus on the Family (9/25/14). Their advice was well thought out and so helpful. A great list of truths from God’s Word. Here’s a few to get you started, download the free list here, or visit Keith Ferrin’s blog . Take time with the Lord to help determine what to cut out of our life and what to add. It gives perspective on how to proceed with life. Schedule a personal planning time to evaluate your own goals. Write down your goals for your family. Write down your goals for each child. Consider how you are falling short of your goals. Plan specifically how you can do better and what you need to do in the next six months to move toward your goals. Then spend time in prayer, committing this plan to the Lord. Put pictures of your family or favorite snapshots of the kids in a prominent place where you can see them during your prayer times. Use these pictures as a joyful reminder as you pray for your family or as you plan the priorities of your life. Buy a book for each child. In each, write the story of the child’s birth and his or her first few months of life. Add to this journal each year on their birthday to document all of the ways they have grown and to highlight the special events that took place in their lives. You can either share these journals with your children as they grow or save them as a gift for their twenty-first birthday. A Prayer for your child from Pray Big, by Will Davis Jr.
Mama Hen (love it!!) Thank you for sharing my “40 Prayers for Your Husband” collection! You have a wonderful list of prayer resources here. Blessings!